Mario. 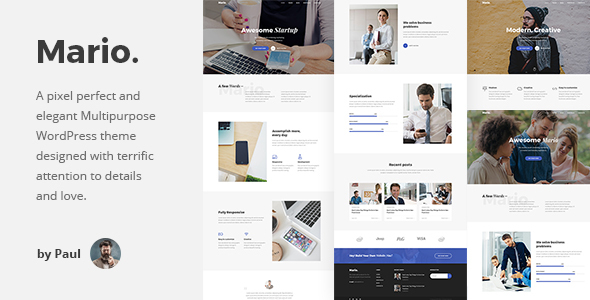 – Modern & Clean Multipurpose Template. Mario is suitable for business, corporate, startup, creative, and another websites. It is a high performance template it’s help to load your website fast and it’s fully optimize and clean code help search engine to optimize website. Based on Bootstrap. designed with terrific attention to details, flexibility and love.